Have you ever wished for an extra room in your house? Perhaps you don’t have a den. Maybe you reeeaaallly wish your kids had a playroom or your husband had his own man cave. Or, it sure would be nice to have a nice quiet spot to entertain friends away from the main living area. Your house would be sooo much more comfortable with just one more room! Say there’s no space for adding on? Consider this: Turn your shed into your summery living room/den, playroom, bar or man cave! 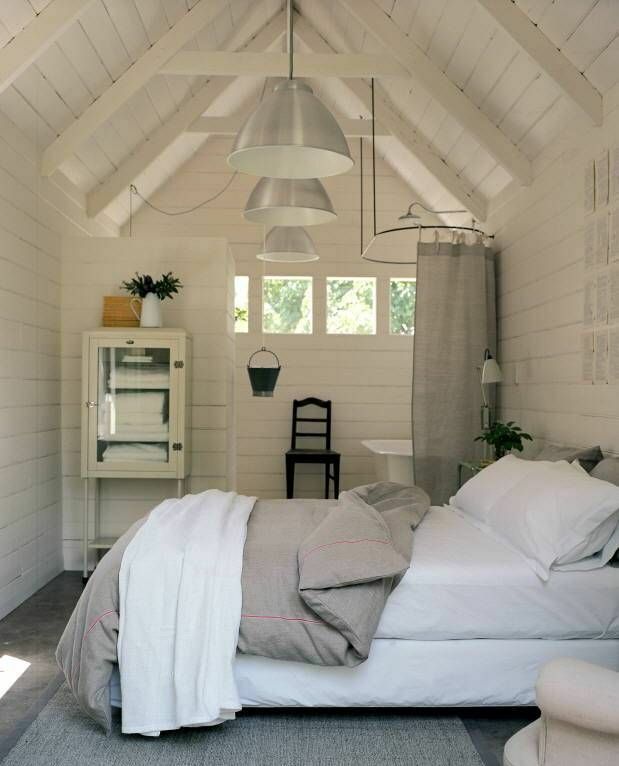 There are plenty of ways that you can make your shed into the room of your dreams. For example, here is a video of a transformed shed-turned-mancave. 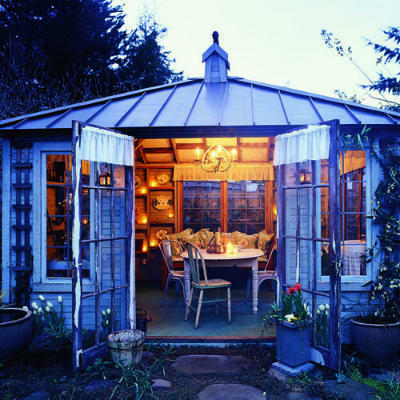 This 120 square foot shed is ideal for an individual getaway or a small gathering of friends. This shed has a small kitchen and living room area, with television, computer, storage, A/C, integrated media cabinet, security cam and surround sound! This place can be used for individual getaways or to hang with a few friends. Not into mancaves? There are plenty of other ways that you can turn your shed into a den, summer living room or playroom for the whole family. Summer evenings make you want to sit inside somewhere that’s breezy and comfortable at the same time. This open floor plan shed has all the amenities of home but with the warm winds of summer. Outdoor rooms can be whatever you choose to make them into. Want something more daring? 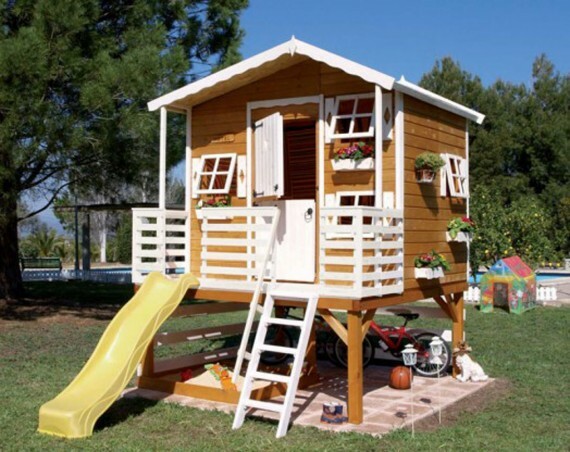 This shed has been revamped into a tree house inspired playroom. 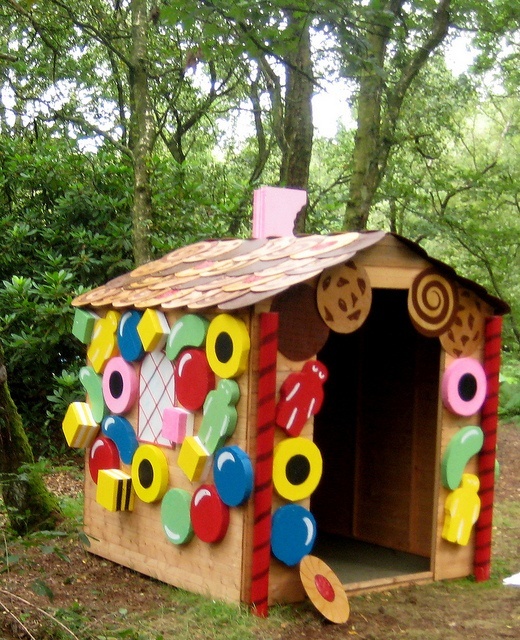 Another whimsical playroom created from a shed, this kind of creation takes lots of imagination! All of the above looks great for non-specific entertainment. But let’s say you really love to kick it into high gear with your crew. 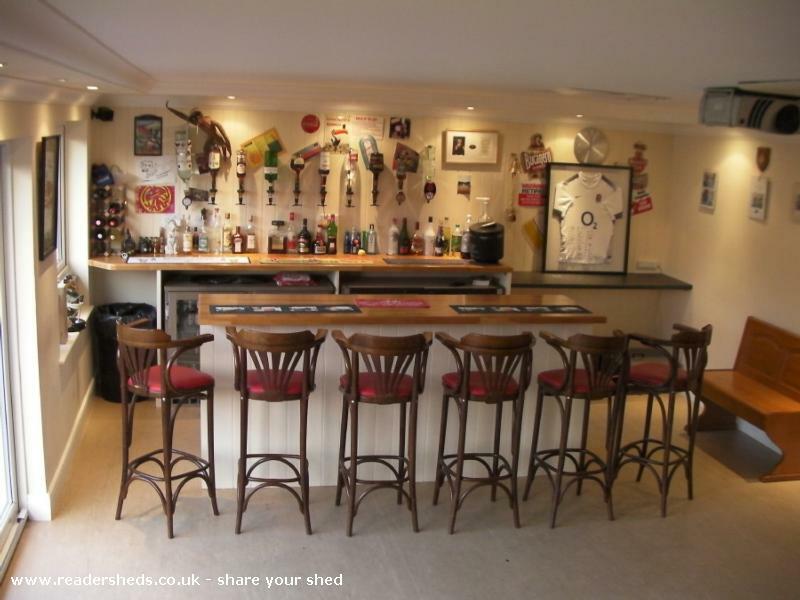 This shed-turned-bar would be fabulous for late nights. And no need to drive anywhere when you’re done! When the night is over, or when the in-laws are visiting, be sure to have on hand this handy guest house– you guessed it– made from a shed. 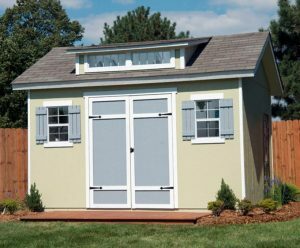 You have seen our beautiful examples, but which shed works best for your new Summer Living Room, Backyard Den or Playroom? Our largest Ranch Style Shed, the 12×10, has plenty of space and already comes with two windows with shutters, a storage loft and shelf so you can start designing right away. Two windows and huge double doors make storage and accessibility a breeze. If you are looking for something smaller, but still comfortable, try our most popular shed style, the Gambrel Shed, size 12×8. If you like the classic sloping roof try our Gable Shed. The biggest size, 10×16, can easily fit belongings while still leaving extra room. Have been praying for one of these really need one so bad need my own space to have a place for me to study God’s Word. I need a place so bad really beautiful places. Hello looking to do a tiny house with a loft. It would be nice to mention what woukgod be best for this type of thing!